Random walks—trajectories formed by successions of random steps—have been studied for more than a hundred years as important models in physics, computer science, finance, and economics, and as interesting mathematical objects in their own right. Still, many simple questions remain unanswered, and are the subject of current research. 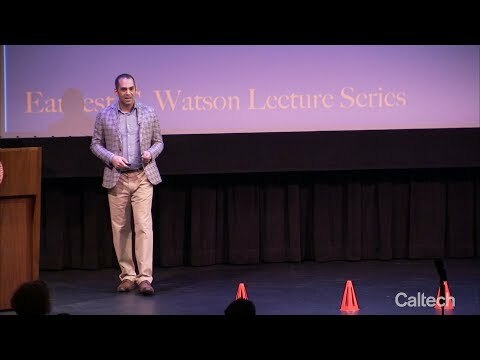 During his January 16 Watson Lecture, Omer Tamuz, this year's Biedebach Memorial Lecturer, will describe some classical results, introduce random walks on groups and graphs, present a few open questions regarding their long-run behavior, and talk about the solution to a longstanding problem as well as a surprising connection to economics. Tamuz is an assistant professor of economics and mathematics at Caltech whose research focuses on microeconomic theory, including game theory, learning and information as well as probability, ergodic theory, and group theory. He also studies machine learning and statistics. Tamuz received his bachelor's degree in computer science and physics from Tel Aviv University in 2006 and his PhD in mathematics from the Weizmann Institute of Science in 2013. From 2013 until 2015, Tamuz was a Schramm Postdoctoral Fellow at the MIT math department / Microsoft Research. The lecture—which will be held at 8 p.m. on Wednesday, January 16, in Beckman Auditorium—is a free event; no tickets or reservations are required.